If you have following along around here for long, you already know how I'm crazy for the classic style of Matthew Mead. And now that Christmas is almost here I'm absolutely over the moon to be part of the more than fabulous holiday magazine that he has created, Holiday with Matthew Mead. Inside you'll find other great bloggers like Centsational Girl and Savour Fare as well. If you haven't already, order your expanded keepsake copy now! So I was so excited when he agreed to stop by and share a few of his tips and tricks for the holiday season. Today's project is a a simply gorgeous wreath that is perfect for fall right through the holidays. What is not to love? Wreath season is here and it is not to early to think about how to engage the tradition in an easy and sophisticated monochromatic way. Make your own base, or buy one pre-made and embellish it. 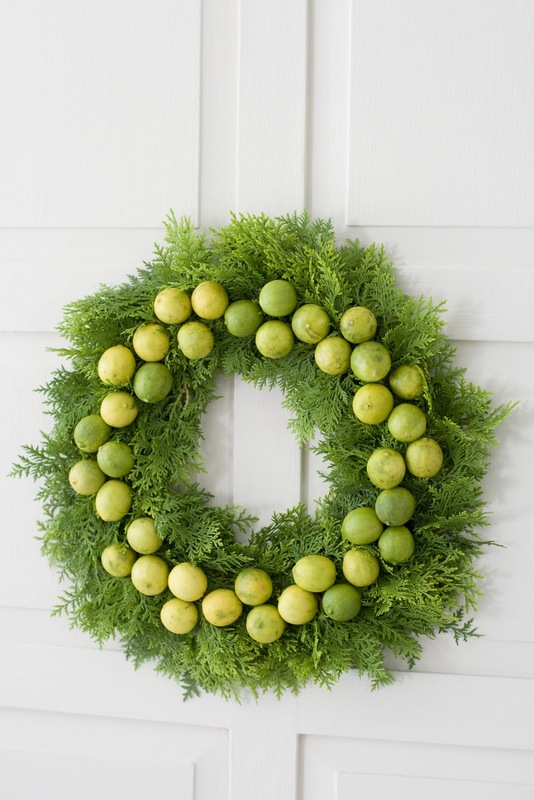 Wreath making is fun and easy and one of the best ways to welcome guests. Make your own with simple ingredients found at the grocery store or home center. **There are a multitude of wreath forms available at crafts stores, home centers and home decor stores. We used a mix of fresh fruits and greens we found at the super market, but you could cut your own greens in your backyard or gather them at a church fair. 1. Cut greens into five inch clusters with 6 stems and wind each bouquet with floral wire. We used a 10 inch wire wreath form for this wreath and it required 12 mini bouquets. 2. Place green bouquet on wire form and tie on with a 5 inch piece or floral wire. 3. Continue to wrap until the wreath is covered. 4. Pierce fruit with a wooden floral pick. Spread hot glue on each stick and push into wreath. Hold in place until glue is dried and fruit is anchored. 5. Hang on a nail on a door, over a mantle, or on an interior window. Thanks so much to Matthew for sharing! I always wondering how florists managed get get fruit in arrangements - I had no idea the secret was hot glue! Learn lots more holiday style tips and tricks in this years issue of Holiday with Matthew Mead. beautiful! I love the one with apples! Love it and loved seeing you in the magazine! It was a wonderful piece! I love this wreath. The colors are fabulous. Thanks for a great tutorial! Wow!  Love the Limes. 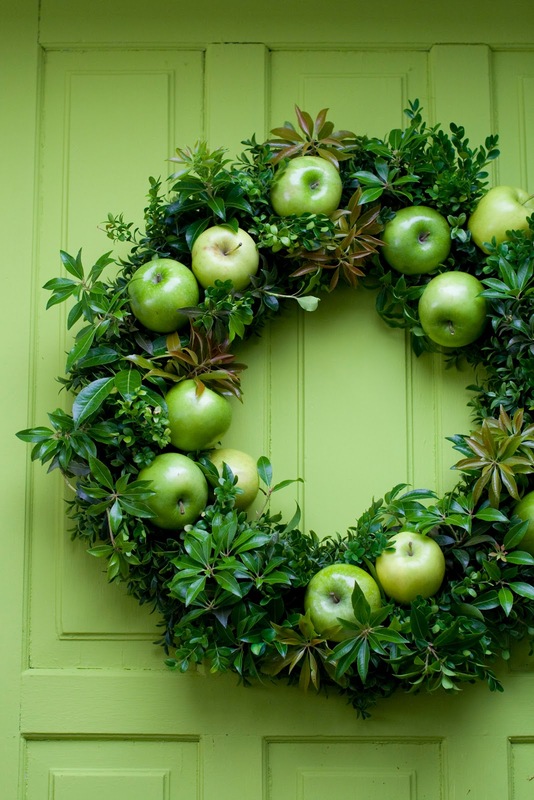 I've been thinking this tone of green for the Holidays but didn't think apples or limes until I saw this. Thanks! Wow! Love the Limes. 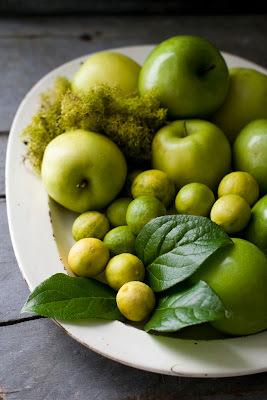 I've been thinking of this color for the holidays but didn't think of apples and limes until I saw this. Thanks! Happy Thanksgiving to the Limestone household. I love this wreath. I did not know anything about Matthew Mead until discovering your blog. I am now a huge fan. I like Matthew Mead's style. Thank you too for inspiring me to stop procrastinating and start my own blog. It is quite a commitment but I am loving every minute of it. So pretty! 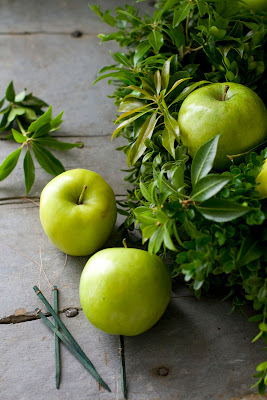 I love the fresh green of the apples. 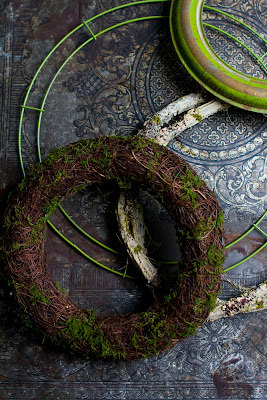 Gorgeous wreaths...do ya think he could just pop over here and fix me up a few? hmm? filling the air with the aromas of the season. Using fresh fruits, nuts and berries is essential for a burst of natural color in my holiday decor. I adored your wreath with all it's charm. Come by for a visit. I'll put the kettle on... your company would be nice. 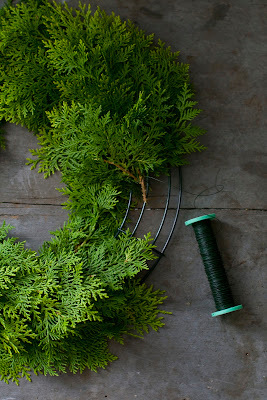 I was looking to create a bright, green wreath to hang against my red front door. This tutorial is perfect. Thank you! This is so elegant and natural! Thank you for the idea and the inspiring photos. I love it!